It seems that Fairlop Waters Nature Reserve is not quite what we thought it was. 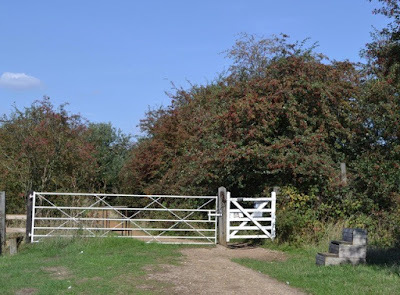 It has now been revealed in a letter to the Aldborough Hatch Defence Association (AHDA), dated 12th September 2018, from Redbridge Place Directorate that a strip of what we all thought was Fairlop Waters is now no-man’s-land! The letter states: “The Council in 2011 removed a small area of land from that ‘licensed’ by the Council to Vision for the Country Park next to the Equestrian Centre.” This is precisely the “small area of land” that is now being proposed for the Gravel Haul Road, and also happens to be the most ecologically diverse and the most wildlife rich habitat part of the Nature Reserve. At a meeting on site on Thursday 20th September 2018, Brett Tarmac Limited’s (BTL) representative confirmed to the AHDA that the gravel haul road will crash through that very strip of land, removed from the Country Park in 2011 – destroying the habitat of several protected wildlife species, including the long-eared owl, great crested newt, bats, reptiles and now badgers! Other species seen include stoat and many bird species not seen elsewhere in the Country Park. Chris Gannaway, Vice-Chairman, AHDA and Redbridge Representative, London Wildlife Trust, said: “At the meeting I informed BTL that in addition to the badger’s sett on the northern part of the haul road route which is known to them, I have discovered that there is clear evidence of badger presence in the strip of land through which the haul road is planned to run. If the haul road goes ahead, the habitat of yet another protected species will be trashed”. During the public consultation in February 2016 Mr Gannaway asked BTL for a clear statement as to where the haul road would run but received no response. 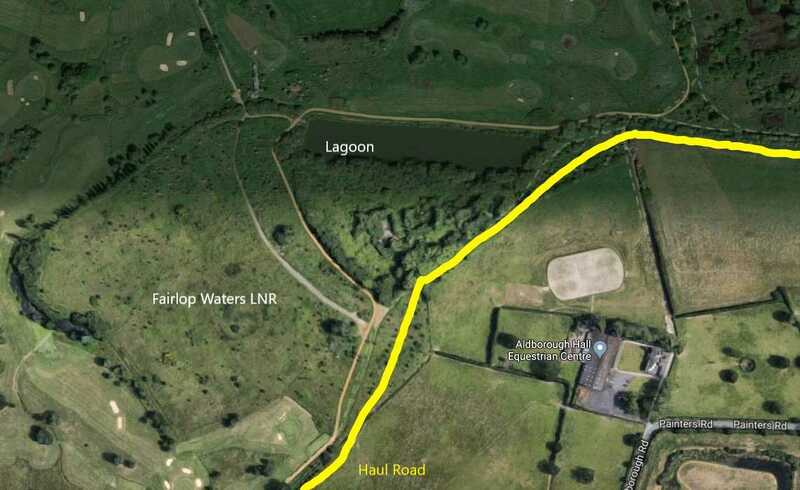 At the Planning Application stage in 2017, planning officers stated that the haul road would not run through “Fairlop Waters”. They did not make clear, until now, that they had removed part of Fairlop Waters from Fairlop Waters in preparation and without any public consultation. When quizzed at the meeting on 20th September BTL’s representative made the startling statement that a landowner and a developer can make such deals without telling the public – even a landowner who is a local Council responsible to its Council tax payers. To date over 450 concerned folk have signed the petition urging Councillor Jas Athwal, Leader of Redbridge Council, to put a stop to this vandalism by Brett Tarmac Limited. The petition may be found at https://you.38degrees.org.uk/p/haul. This is a situation that has been inherited by the present administration and as custodians of the Freehold, on our behalf, have the ability to insist that the route of the haul road is altered to limit environmental damage. The ADHA and the Fairlop Birders, with the support of other local conservationists are joining forces on this campaign and are calling on the elusive Leader of the Council Councillor Jas Athwal (who also takes cabinet responsibility for Parks and open spaces) to stop this development immediately. We want all the members of the public who share our concern to email Councillor Athwal (jas.athwal@redbridge.gov.uk) and their local Councillors to that effect. It should be noted that to date Cllr. Athwal and the elusive Aldborough Ward councillors have failed to respond to any related communications.